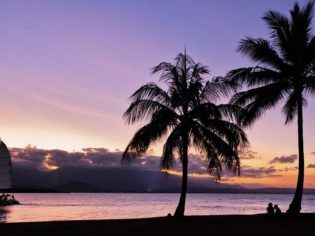 A popular getaway destination for Australians to wait out winter, Port Douglas offers palm trees and sarongs, as well as sun-drenched streets with flashy eateries and trendy boutiques. Although it can explode to double its size during high season, Port Douglas still manages to retain the charm of a sleepy fishing village. Normally home to just 3000 locals, this picturesque town is less than 70 kilometres north of Cairns, and is a gateway to the Great Barrier Reef and Daintree rainforest. Port Douglas suits any kind of traveller, with a wide variety of options. For solo travellers, it’s easy to meet people at Dougie’s Backpackers Resort with its pool, barbeque area and bar. It also provides one-man tent accommodation, so it’s easy to save some cash and skirt the dorm-room anxiety. There is a plethora of apartments to choose from. Try the affordable one-bedrooms of Martinique on Macrossan, which are clean, simple and feature a colourful pool area with décor straight out of Alice in Wonderland. For something upscale and luxurious, try the Sea Temple resort & Spa. A little way from the centre of town, it can be a much-needed oasis to escape the tourist bustle. If the plan is to splash out in Port Douglas, then experience ultimate luxury at Thala Beach Lodge, located on a private stretch of coastline. It boasts a suite and themed bungalows, spread throughout the forest canopy, allowing guests to have an unobstructed, intimate encounter with nature. Unique activities on offer include a coconut tour, bird watching, kayaking, access to a secluded beach, guided nature walks on the grounds and evening talks with the KuKu-Yalanji people. Although a good 16 kilometres from the Port Douglas’ centre, a shuttle service operates to town. Local favourite Four Mile Beach takes in the endless stretch of white sand with a backdrop of palm trees and tropical forests. If you don’t consider “beaching” itself an activity, then jet skis and snorkelling sets are also available for hire, or for the more ambitious get qualified for a PADI open water scuba dive at Tech Dive Academy, a five-minute drive away. 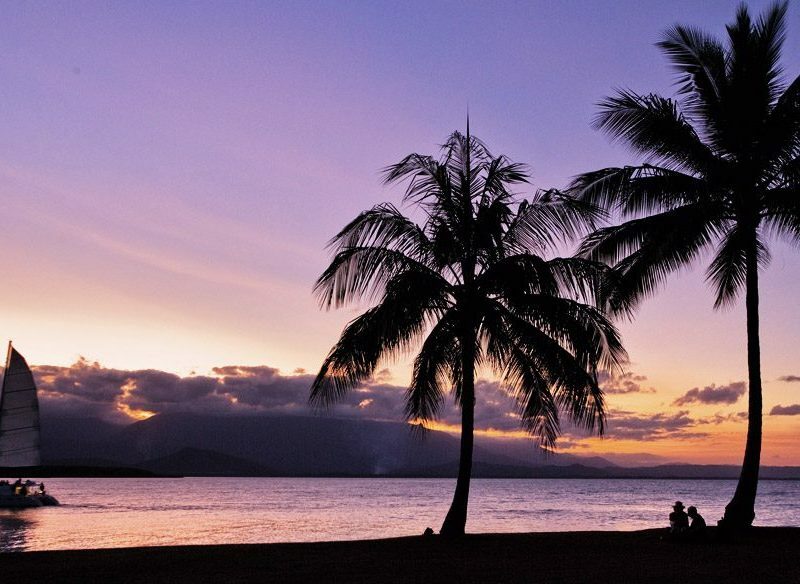 Port Douglas Yacht Club hosts free sunset sails every Wednesday evening for 90 minutes. There are plenty of activities to see you through days that are not quite so sun-drenched. Stroll through Wildlife Habitat with all the benefits of a zoo, except the animals are in enclosures that imitate their natural environment. There are also rare opportunities to view the wildlife in a different way, including Breakfast with the Birds, Lunch with the Lorikeets and a visit to the Wildlife Care Centre, which has a VIP Behind the Scenes Tour. Finish off your night with a unique gourmet experience, Flames of the Forest, just ten minutes from Port Douglas, but worlds away in its breathtaking scenery. Enjoy storytelling and performances by indigenous locals, or begin an unforgettable Saturday eve with smoked kangaroo bruschetta dining under the brightly lit canopy, enveloped by the rainforest. If you want to get out of town, make sure to take advantage of its location and take a daytrip to explore the Great Barrier Reef, or cruise for a few days to get to the less damaged diving sights further out. If you prefer dry land, then consider a 4WD guided safari of the Daintree Rainforest, preferably one that includes Cape Tribulation and the stunning Mossman Gorge. The most popular time of year to go is winter, where average day-time temperatures are in the mid-20s, and nights are cool. If you do miss out on the winter months, consider going in May when Port Douglas hosts their own Carnivale, complete with street parade and unique events to taste the local cuisine and wine. The rainy season, December to February, translates to good accommodation deals and a totally different experience of this tropical destination. The best way to get to Port Douglas is to go via Cairns International Airport, which is serviced by all the major domestic airlines. For the one-hour trip north, catch a private limousine or coach with Exemplar (from $160 one-way/ $33 one-way, 07 4098 5044), or a cab ($150, 07 4048 8311). Hiring a car from Cairns Airport is also an option.